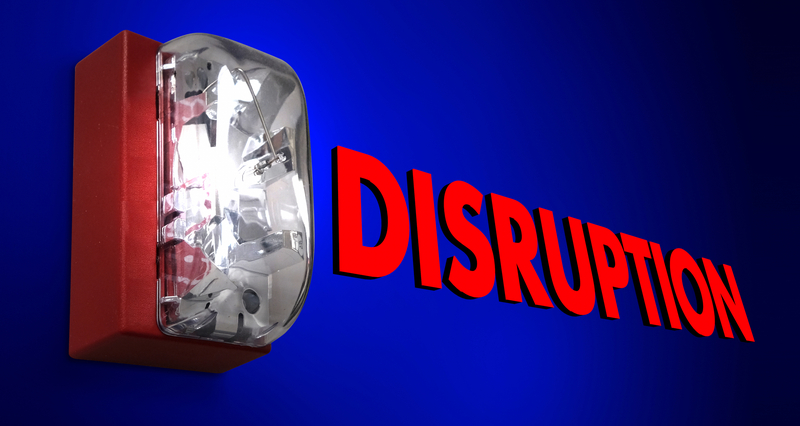 A Lesson Learned During a Taxi Ride: Disruption is here! On Monday of this week, my wife and I took a ride from the airport in Charleston South Carolina to a downtown hotel where a meeting of District Superintendents was taking place. Charleston is a place that I remember well; this is where I was on September 11, 2001! I shall never forget where I was at the moment the planes flew into the World Trade Center buildings. Having been in downtown Charleston I did not want to rent a car, so we decided to take a taxi. I stepped up to the curb, and a cab driver pulled up, and we started the journey to our hotel. During the conversation, the woman taxi driver/owner began to open up about her plight, or more specifically the dire situation concerning her taxi business. “Uber and Lyft are about to put me out of business,” she said. She will have to let her employees go, and she and her husband will have to declare bankruptcy. My heart went out to her and Susanne and I prayed for her business and family. The conversation reminded me of living and pastoring in metro Detroit during the economic downturn of 2008-2009. Several people lost their jobs, good paying jobs. To say the least their lives were “disrupted.” As their pastor, I felt their pain, and I too felt that life was a bit disruptive. Our world is changing, and pace of change is only accelerating. Some of the disruption we gladly participate in and enjoy, think of the times you have shopped via Amazon and by-passed the local stores or by-passed the local taxis in favor of Uber. All of the talk about driverless vehicles in the future could mean the dislocation of those who drive for a living. Periodically I read someone who attempts to reassure everyone that when entire industries have been disrupted in the past, there have always been better-paying jobs to replace the jobs and careers lost. Somehow I am not sure that this would make me feel better if I was a professional truck driver. Every day is a day to trust in the Lord, but especially during times of change, chaos, and challenge. I will say you are my God; you are God even in the midst of disruption. The psalmist reminds us that “my times are in your hands;” I am not alone! I do not have to figure this all out on my own. My God has everything in His hands. Nothing is more reassuring than the fact that God knows me and He knows all that is taking place around me and no disruption can pry me from His Hands. There will be troubles and yes even a few disturbances; I must not allow myself to be shaken by all that is transpiring around me. My confidence is in the God who loves me with an unfailing love.